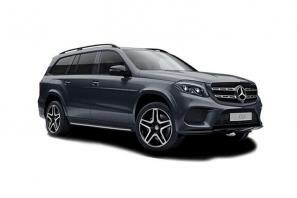 Find the best Mercedes GLS leasing deals at CarLeasing.co.uk. The Mercedes GLS is the largest SUV manufactured by the German brand. Offering permanent four wheel drive, an automatic gear box and seven seats, the GLS makes for an ideal family car for those longer journeys. Passengers in the third row of seats can enjoy the vast space with additional rear air conditioning. Find your perfect Mercedes GLS by browsing our deals below. Choose from a range of optional extras and even insurance or maintenance if you want complete peace of mind. Our latest Mercedes GLS-Class leasing deals. Click the links below to view our latest Mercedes GLS-Class leasing options. 3 reasons to lease your next Mercedes GLS-Class from us. We deliver your brand new Mercedes GLS-Class vehicle for no additional cost.